Let me share with you my bad experience on auctioning for Tannoy SRM12B speakers from eB*y. I seldom buy stuffs from eB*y as the shipping cost a bomb to ship to my country but I got no choice as there weren't many Tannoy audiophiles here. Those who are, seldom wanted to part with their beloved Tannoy speakers. 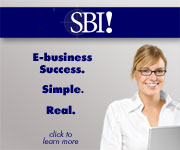 eB*y is a place of crouching tiger and hidden dragons, buyers beware! Self pickup is the best option if you are buying something valuable. 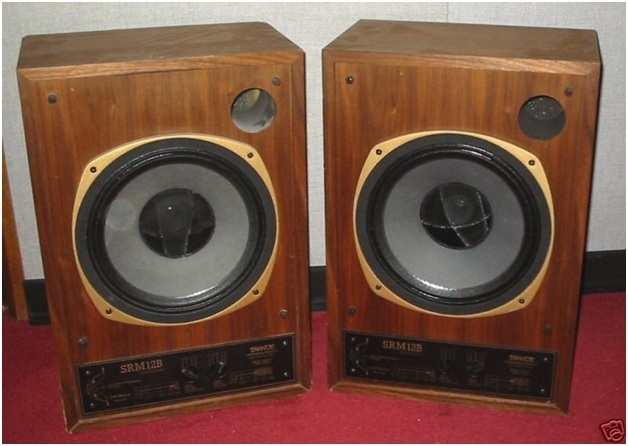 Once I saw a pair of Tannoy Darking SL35 (198x model, huge bookshelf with 10" Dual-Concentric with rubber surrounds) posted at a local online site today (4 OCT 2008) selling used HIFI gears. They were snatched within hours. I saw it in the morning and it was sold in the afternoon. Now that's what I call hot cake! This picture was taken while it was at my good friend's place in USA. What an innovative way of placing the speakers. 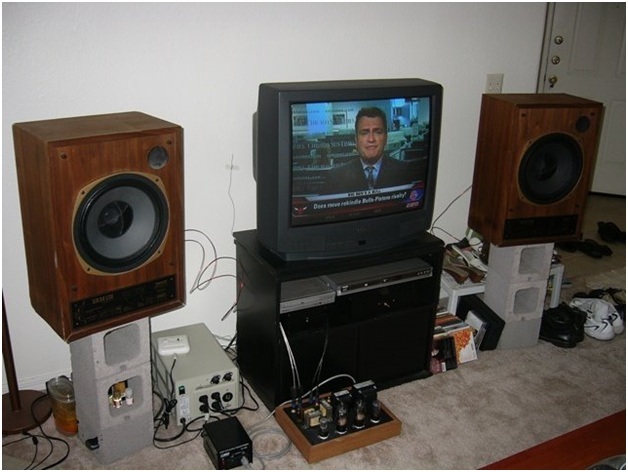 On the bottom was my DY project too – DIY 26 DHT Pre-Amplifier. I auctioned for a pair of supposedly good condition Tannoy SRM12B. SRM12B uses DCC-3149, 12"
Dual-Concentric driver with pleated-rubberized cloth surround and paper cone with a dust cap. They're made in the 80's. The picture below looks fine right? It turned out to be nightmare for me. The claimed condition was excellent without any cosmetic flaws but I got more than what I auctioned for. Both the drivers have cracked surrounds that had to be replaced. One of the speakers had the spider damaged due to over-driving. 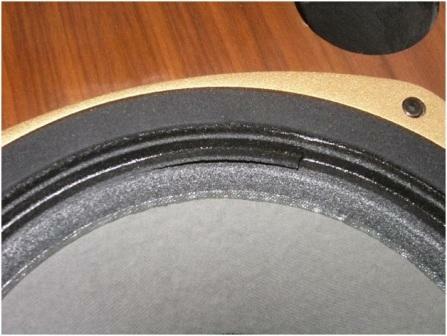 The other speaker had the tweeter damaged due to moisture. 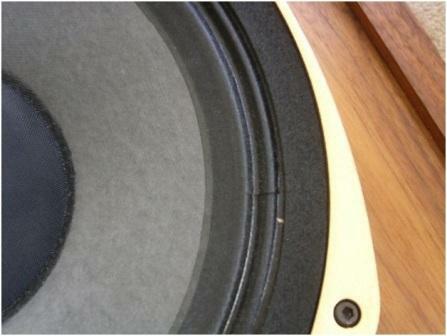 The total reconing (*2 woofers) and tweeter replacements cost was U$550 for a pair of U$800 bidded price. That was not fun at all. Luckily the nightmare ended here after the repair. Cathy at Speakerex is a gem. I got the drivers refurbished with original cones and tweeters from Tannoy and now they're in mint condition. They work great and they've glorious sound! They're very efficient speakers boasting 95dB/w/m @ 8 Ohms. I've no problem blasting and watching movies with a 5W EL34 SE (DIY). This is a close up of the cracked surround. Rubber impregnated cloth surrounds are supposed to be very durable and should last for at least 10-20 years. I just could not image how that could happen to this pair of Tannoy drivers. This is another close up of the crack at the other driver. Now this pair of Tannoy drivers had been re-housed in a nicer floor-standing enclosure. The bass is much deeper with the larger box. The crossover is heavily upgraded with Sonicaps too. This will be mentioned in another write-up in near future. Till then! Do you guys have any bad experiences on auctioning audio gears in eB*y as well? Thinking of him just makes me sick! Share with me please and I can post it here to let the whole world knows about these unscrupulous eB*yer.